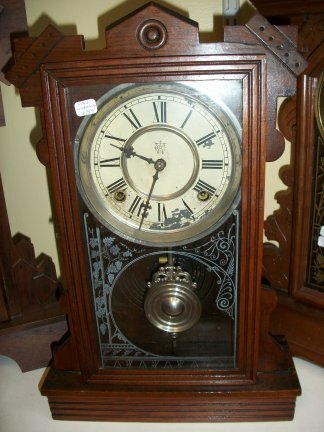 This is a walnut kitchen clock that was made by the Waterbury Clock Company. 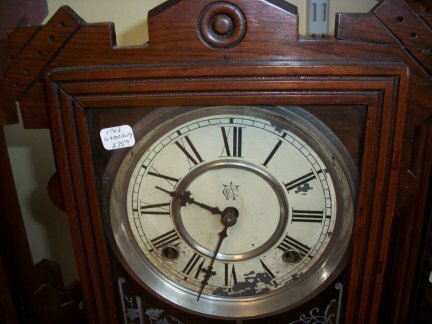 It had an 8 day time and strike movement. 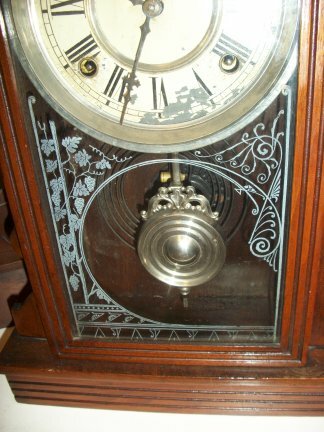 Close up view of the clock top, some of the paint is missing off the zinc dial.